...it appeals to what makes us human. Simple is never part of the equation when it comes to love. Nothing involving the heart ever is. However, the ballad of Leonie and Roman is like is like an onion. The layers run deep and the tears are no surprise. 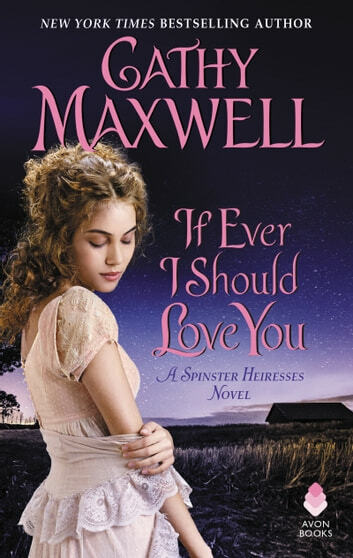 Cathy Maxwell has a talent for breaking a heart in the sweetest of ways. Leonie is stuck in the past, reliving her mistakes and punishing herself for them. It's hard to like her, but in time you will understand her. Her burden of guilt has flawed her soul. Roman was never meant to be a hero, but he ended up being a twofold one. He had the courage to listen to his heart and pursue the one woman he had to work the hardest for and the foresight to empathize and help mend an at times callous, but brutally broken heart. 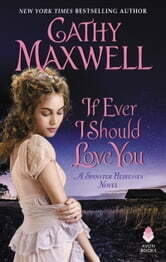 If Ever I Should Love You may run hot and cold, but it appeals to what makes us human.